Good news, everyone! 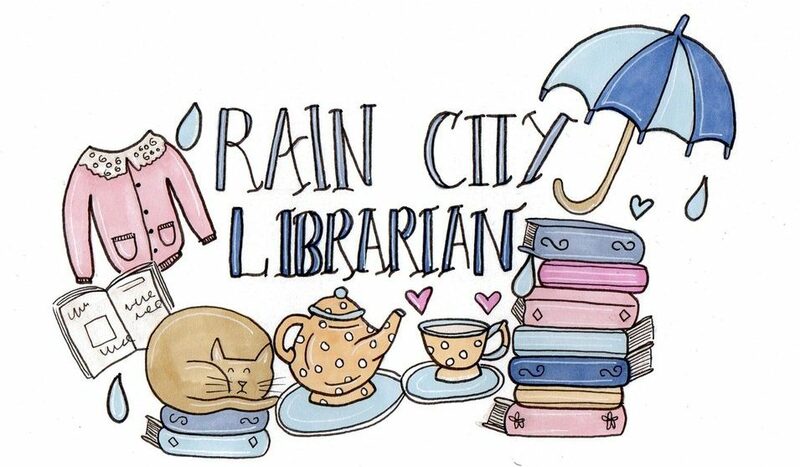 I am currently in the process of moving this little blog over to its own domain – http://www.raincitylibrarian.ca is in the works! Please bear with me and my technical team (my long-suffering partner) as we fine-tune all the details and wrestle WordPress into submission. I love to travel. I haven’t written much about my travels here on Raincity Librarian since my focus is primarily books, but when I discovered this tag on the blog Travel in Retrospect, I knew I just to take a spin at it. Where have you been around the world? So far I’ve travelled through Canada, the USA, Mexico, the Caribbean, England, New Zealand and Japan. What is your favourite City? Vancouver – I’m a homebody. But Tokyo and Auckland also have places in my heart. What are your dream destinations? Back to Japan, and then on to Croatia! Best item you have purchased overseas? ….. OK, since this blog is a judgement-free zone, I’m just going to come out and say it: a selfie stick. Yes, yes, I know, I know. But when you’re travelling alone or with a partner, getting pictures can be tough! We bought a selfie stick in Tokyo and it quickly became our new best friend. What time of the year do you like to travel? I love travelling in the fall – it tends to be cheaper, cooler, less busy, and often exceptionally beautiful (see above!). How many times a year do you travel? Not nearly as often as I’d like to, but typically at least once a year. We used to travel more, but school + work + mortgage = sad bank account. What are some new and exciting cuisines have you tried on your travels? Unfortunately, due to my severe food allergies I can’t be too adventurous when it comes to sampling local cuisine. I did have fish for breakfast in Japan, which was pretty adventurous for me, since I’m typically a cereal kind of girl. Have you ever lost something while travelling? I did get a camera stolen in Seattle years and years ago. I’d only just bought it, too, which made it all the more annoying. What are your favourite travel activities? Walking around local neighbourhoods and exploring grocery stores. My partner and I usually end up staying in residential neighbourhoods, and I love just wandering around and experiencing life the way the locals do. It sounds crazy, but exploring grocery stores can be a fantastic way to experience a culture, and it’s free! I am also a sucker for a museum, which is why London was such an incredible experience for me – free museums!! What are your must have travel accessories? Earplugs. I’m not typically a light sleeper, but after having camped immediately beside a busy set of railway tracks I never leave home without a set of earplugs. What is your favourite accent in the world? I love all accents! If you could live anywhere where would you live? I’m not sure. I really enjoyed Tokyo, and New Zealand has a similar laid-back feeling to Western Canada, so maybe Auckland? Why do you enjoy travelling? I appreciate being taken out of my world and my comfort zone, and I love meeting new people and experiencing new cultures. Do you have a travel buddy? I’m very fortunate to have a very laid-back, easy going partner of 14 years who is a very good travel buddy, especially when things get stressful – he’s the epitome of calm under fire! What are some of the interesting places you’ve visited and the different cultures? The most interesting place I’ve visited so far has been Japan, with a language and culture that was entirely foreign to me, yet also remarkably welcoming. Have you ever had any bad travel experiences? I spent my last night in Japan in the emergency room in a local hospital, having contracted an extremely bad case of food poisoning from a sushi restaurant. It’s actually a pretty amazing story – we were staying in an Air B&B apartment without a phone, so my partner came down to the apartment building lobby in the middle of the night to call a taxi to take me to the hospital. A woman who lived in the building became our superhero – she called a taxi for us, went with me to the hospital so my partner could pack for our flight the next morning, checked me into the hospital, and stayed with me until my partner arrived (saying “you are a good girl” over and over again in her limited English). It was a terrible experience at the time, but pretty incredible to think about afterwards. Advice for those who want to travel but think they can’t? What do you mean you can’t? Of course you can! Even if it’s just a quick visit to a neighbouring town, you can always travel somewhere. Research, save up, and do it. Show us your favourite travel picture? Just one? Here are a couple from over the years. Road Trip around your country or Plane ride to exotic location? Plane ride! Canada is BIG, so you’d better side aside plenty of time for a road trip. Hotel or Hostel: Air B&B all the way! Summer or Winter: It really depends where I am – I’m not a fan of muggy, humid summer days, but the grey sogginess of a Pacific Northwest winter can be downright depressing. Window or Aisle seat: Aisle. I like being able to easily get out and walk about whenever I need to. Book or Movie on the Plane: Movie. Endless, endless movies. I don’t typically see many films in theatres, so flights are a chance for me to get caught up. I hope this little deviation from the typical bookish post was interesting in some way, and if you decide to write about your own travels, do let me know, I’d love to read about it and travel vicariously through your expeditions! This week’s theme is a lot of fun – top ten book club picks! One of my favourite genres, and one that I think is woefully under-appreciated, is nonfiction. And so, here are ten nonfiction titles to try out with your book club. I’ve tried to pick titles with broad appeal that will encourage discussion and conversation. The Immortal Life of Henrietta Lacks – Science, race, family, ethics, economics and politics collide in the fascinating story of Henrietta Lacks and her incredible cells. The Devil in the White City – The stories of two men, one a sinister murderer and the other the architect behind the 1893 World’s Fair in Chicago, collide in this gripping true tale of crime and commerce. Into Thin Air – A thrilling account of the disastrous 1996 Everest season, in which 11 climbers lost their lives. The Man Who Mistook His Wife for a Hat – Neurologist Oliver Sacks beautifully and sympathetically recounts some of the strangest and most fascinating cases he encountered during his long career. In a Sunburned Country – Pretty much any books by Brill Bryson is a good choice for a book club, but this exploration of Australia is one of Bryson’s laugh out loud funniest. Packing for Mars: The Curious Science of Life in the Void – Mary Roach always manages to make hard science accessible and often hilarious. This look at space exploration is fascinating, cheeky and highly informative. Working in the Shadows – A journalist spends a year undercover working the jobs “most Americans won’t do”, revealing the plight of undocumented migrants and poor Americans in this fascinating, at times heartbreaking account of life in the shadows. 52 Loaves – This hilarious account follows one man’s obsession to bake the perfect loaf of bread. The Omnivore’s Dilemma – Explore the natural history of cooking and food and take a hard look at the modern Western diet and what it means for the future of our society as a whole. Orange is the New Black – When a successful young woman is sent to prison for a crime she committed years before, she discovers an entirely new world behind bars. An eye-opening, compassionate look at prison life. Last week I did a Top Ten Tuesday post all about some of my favourite Halloween picture books, so do check that out for some spooktacular seasonal books! 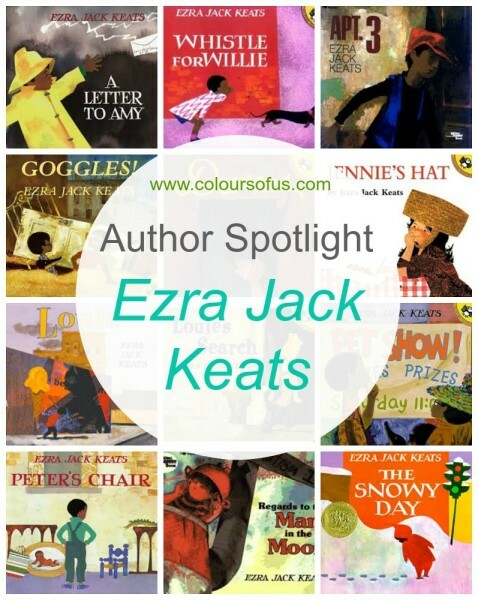 Today I’ve got another set of new-to-me picture books that I’ve been sharing with my toddlers and preschoolers and absolutely loving, as well as a couple of historical fiction novels I’ve devoured. Enjoy! 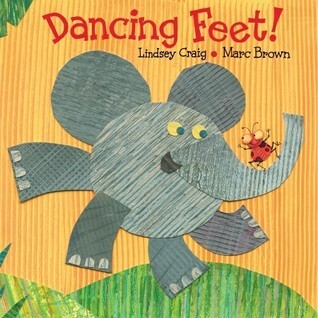 I love picture books with bouncing, rhythmic texts that get kids bouncing and bopping along, and Dancing Feet is a a perfect example of this kind of fun, energetic book. Lindsey Craig’s rollicking text is sure to get kids tapping and clapping, and it features super fun sound words like “stompity” and “creepity”. Marc Brown’s paper collage illustrations are lively and unique, and really complement the silly text. Lots and lots of storytime fun, perfect for toddlers. Oh Jan Thomas, what can’t you do? 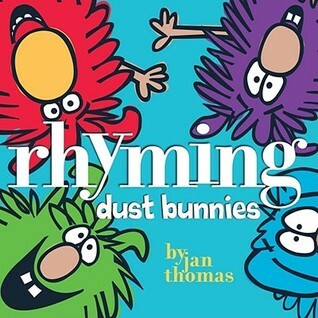 Thomas is a master of doing a lot with a little – the text in this hilarious picture book is extremely limited, yet it’s sure to get kids roaring with laughter once they realise what’s going on. The eye-catching illustrations feature bold lines and vivid, primary colours, perfect for sharing with a large audience. Another fun, fun, fun storybook. Honestly, if my dust bunnies were this cute I might never pick up the vacuum! Dinosaurs! I just can’t get enough dinosaurs. Dinosaurs!! 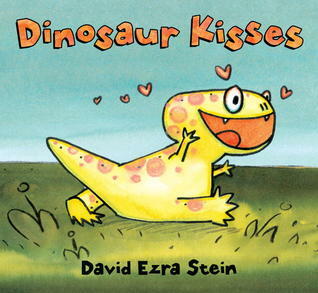 While there’s a time and a place for sweet and syrupy picture books, don’t be fooled by the name, because this delightful book is absolutely not syrupy….it is absolutely hilarious, however, and kids will delight in the noisy and destructive antics of this very well-meaning but a bit overenthusiastic little dinosaurs. Who doesn’t like a bit of slapstick destruction now and then, right? So much fun, and still very sweet in its own silly way. A very independent dog decides to adopt a human pet. He takes him for walks, teaches him how to play fetch, and bemoans having to clean up after him (when he spills his ice cream! ), but in the end, that’s what being a pet owner is all about! This is a very sweet story that will delight little readers, and the illustrations have a childlike quality about them that’s very endearing. Sweet, simple text and a fun twist on the story of a person and their pet. 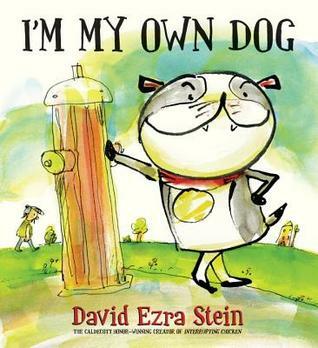 And I’ve just realised I’ve featured two picture books by David Ezra Stein this week, completely inadvertently. What can I say, he makes great books! I tend to go through reading phases where I binge read specific genres. For the past few weeks I’ve been devouring historical fiction. Philippa Gregory is one of my old standbys – I sometimes take issue with her historical interpretations, but I can’t deny that her books are reliably entertaining! One of the chief complaints I have with most of her books is that they take place over long stretches of time, which means the story typically jumps across decades – we spend a few pages in one year, and then we’re transported forward a year or two to another event. It does make for a bit of a jerky read, and you don’t really get a chance to settle in to any setting, or explore any characters. The forward movement is unrelenting, so you’d better just hold on and go with the flow! This is the story of three women whose lives were defined by their connection to Henry VIII – Katherine of Aragon (his first wife), and his sisters Mary and Margaret. While Katherine has often been written about, Mary and Margaret are less well known, and it’s interesting to see the events of the era through their eyes. Reading about English history is always a bit strange for me – as a first-generation Canadian with English roots, it’s a bit jarring to think that this is technically my history, too. I don’t feel English in any way, and I certainly wouldn’t call myself an English-Canadian or anything like that (I’m Canadian through and through, even if I’m first-generation! ), but the fact remains that my ancestors lived through all of the English historical events I read about in textbooks and novels. How very strange! Like I said, I read thematically. Set during the Great Fire of London in 1666, this murder mystery was a bit of a disappointment. It’s not a bad novel, but it’s not what I was expecting at all. The fire in fact is a very minor character in the story, which was a bit of a letdown, considering how transformative the fire was in the history of London. I did appreciate the fact that the two main characters, a young man and a young woman, didn’t end up falling in love – it was a refreshing change. I did find the story’s alternate perspectives a bit jarring, though – the male character’s story is told in the first person, while the female character’s story is told in the third person, which to be honest kind of annoyed me, as it felt as though the male character was given more agency than the female character. As other reviewers have said, some of the female character’s actions felt out of place, and her reactions felt strange and unnatural, but she was still a fierce female, and I did appreciate that. I finished this one, which says something considering how many books I DNF, but it definitely wasn’t one of my favourites. Hope you all have a safe and spooky Halloween, and have a great week! November, here we come!